 James River Granite & Marble is a leader in fabrication & installation of countertops, vanities, & more. Our granite has been installed in many homes around the Tri-State region and throughout East Coast. James River Granite & Marble is where people turn when they are looking to have granite installed in their residential, commercial office building, and industrial complex. James River Granite has been a recipient of Angie’s List Super Service Award for years, which only about 5% for all businesses on Angie’s List are eligible to receive. Check out our ratings on Angie’s List and see what people are saying! $1,650.00 For Up To 35 Sq. Ft.
$1,875.00 For Up To 35 Sq. Ft.
$2,385.00 For Up To 35 Sq. Ft.
$2,829.00 For Up To 35 Sq. Ft.
"The James River Granite has done an outstanding job replacing our kitchen counter tops. Deborah met with us several times (including nights and weekends) and was instrumental in selecting the right color and level of granite. She and her crew did a great job with installation, and the job was finished when promised". "Thank you for the wonderful outdoor kitchen and fireplace countertop project. We are using it often, enjoying our time together as a family more than we ever imagined. It looks amazing, and we get so many compliments. We appreciate the time that you personally spent with us, looking at the various counter materials that were available". "When I mentioned to you that I had a certain budget, you made sure that we could do business together by adjusting your rates and allowing me to perform some of the work to ease the cost was greatly appreciated. The hands on approach you gave my wife and I will go a long way in referring your company to my friends"
"ART - CREATED by NATURE & fashioned by skilled craftsmen, is an investment for your home..."